OverviewWarpath: Jurassic Park delivers gigantic dinosaurs armed with razor-sharp claws and foot-long teeth face-to-face with their only equal: each other! In the end, only one can survive and rule the Jurassic Age! Warpath is a fighting game. 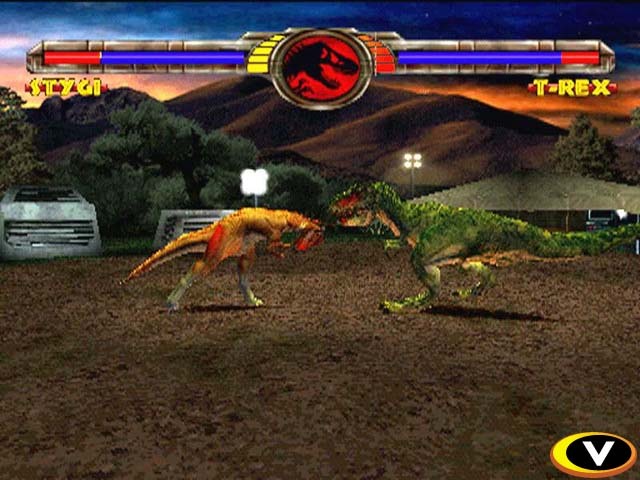 The player can choose a dinosaur to fight with against other dinosaurs. Each dinosaur has its own array of fighting techniques and style. 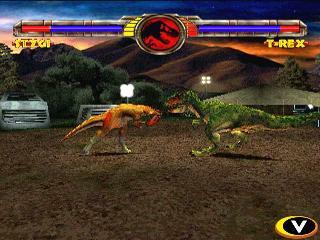 Various arenas based on scenes from the movies are shown in the game, such as the T.Rex enclosure from Jurassic Parkand the S.S. Venture deck from The Lost World. Some arenas feature destructible objects such as boxes, which will hurt the dinosaurs when they break them. Optionally, various edible creatures (goats, humans, dogs, and Compsognathus) will scurry across the arena, partially replenishing lost health when eaten or killed by one of the fighters. Now you can add videos, screenshots, or other images (cover scans, disc scans, etc.) 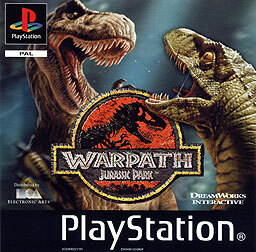 for Warpath - Jurassic Park [NTSC-U] to Emuparadise. Do it now!